A look at a distinct neighborhood with a working waterfront a few miles north of downtown Jacksonville. Covering 747 square miles of land area, Jacksonville is a city of distinct neighborhoods, districts and environments. 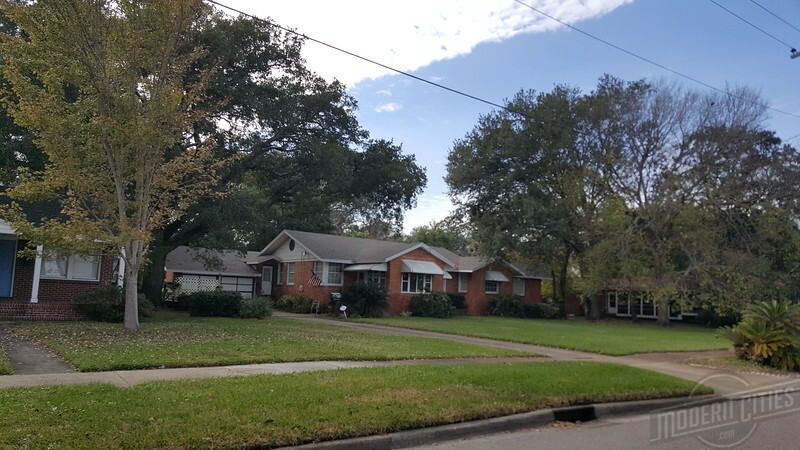 Located five miles north of downtown Jacksonville, it can be said that Panama Park is a neighborhood that paved the way for the city we recognize today. Development of what would become Panama Park, dates back to 1828 when Charles F. Sibbald established the first steam powered sawmill in East Florida. Soon after, Sibbald’s son-in-law Farquhar Bethune, opened the region’s first brick kiln at Panama Park. Exporting lumber to England and lumber and brick to Jacksonville, the sawmill and brick kiln revolutionized construction in Northeast Florida leading to the end of the log cabin era in Jacksonville. 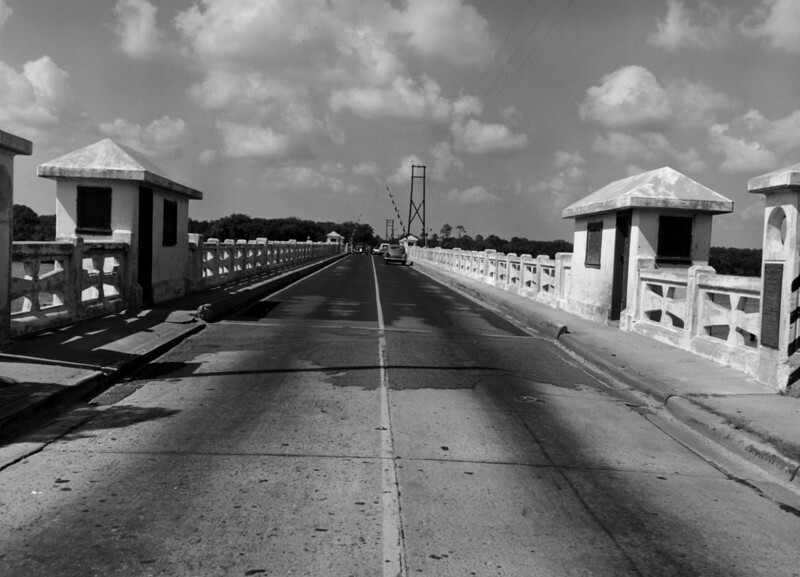 A popular destination for fishing, sailing and picnicking, the first plat of Panama Park came in 1879. 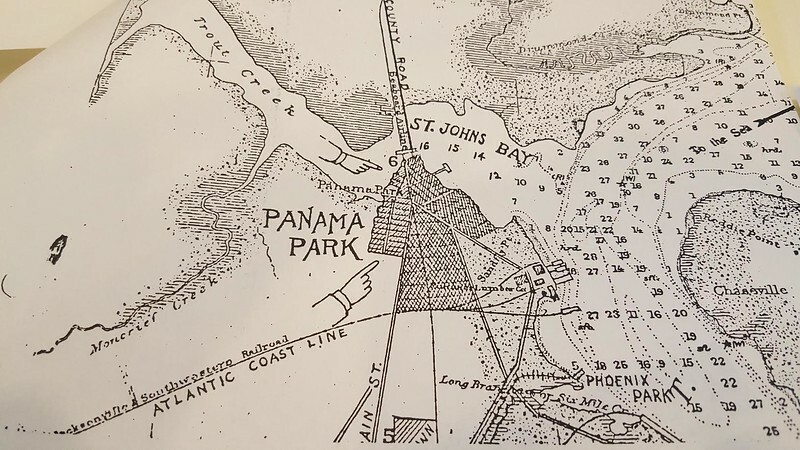 A year later, the Fernandina & Jacksonville (F&J) Railroad established a depot at Panama Park on its new route between Yulee and Jacksonville. In 1896, recognizing the value of Florida cypress and timberlands, Wellington Willson Cummer founded the Cummer Lumber Company at Panama Park. Cummer’s sawmill quickly grew to become the Jacksonville area’s largest employer. 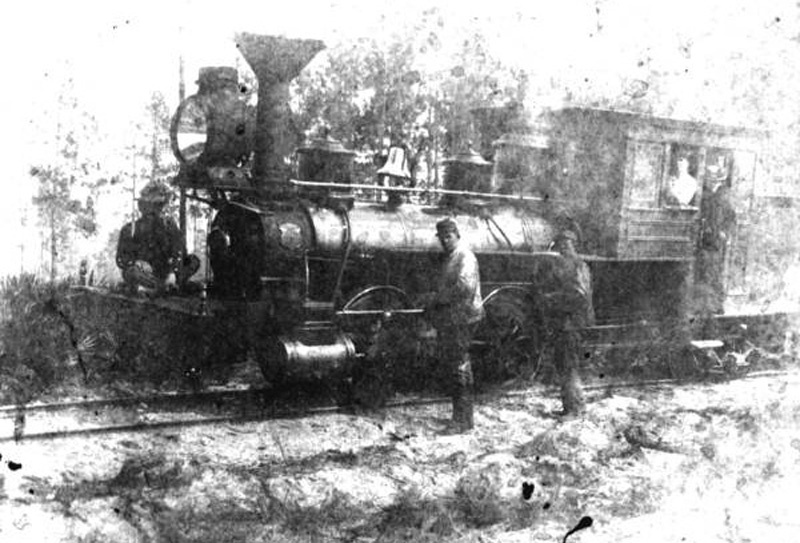 With business going strong, in 1899 Cummer completed the Jacksonville & Southwestern Railroad (J&SW;) between his Panama Park sawmill and timber lands near Newberry, FL. Following the Great Fire of 1901, the rapid development of Springfield and Brentwood quickly filled in the undeveloped gap between Jacksonville and Panama Park. By 1905, George W. Clark, the owner of Clark Real Estate Company and developer of North Springfield, eyed the development of a “railroad suburb” at Panama Park. Unlike streetcar suburbs, which formed continuous corridors stretching outwards from city cores, late 19th and early 20th century railroad suburbs tended to form in pockets around railroad stations. At Panama Park, Clark acquired, improved and provided modern amenities for 50 acres surrounding the fishing village’s railroad depot. Clark’s development also included a laundry list of restrictions that were binding for ten years. Restrictive covenants included 25’ front yard setbacks, limiting commercial activity to certain lots and the prohibition of livery stables, public automobile garages, blacksmith shops and liquor related businesses. In addition, houses had to connect to his sewer system before occupancy and residents were not permitted to maintain a herd of cattle, hogs, sheep, mules or allow poultry to run at large. Served by four Seaboard Air Line trains and two steamboat landings per day, Clark began selling lots at his Panama Park railroad suburb in 1910. In addition, 30 minute bus service was also provided from Panama Park to the nearest streetcar line at Phoenix Park (Florida Ostrich Farm). Rapid growth led to the development of Lola M. Culver Elementary School in 1916. Featuring two central towers surmounted by terracotta eagles, it is known as one of architect Henry J. Klutho’s last great Prairie-style designs. 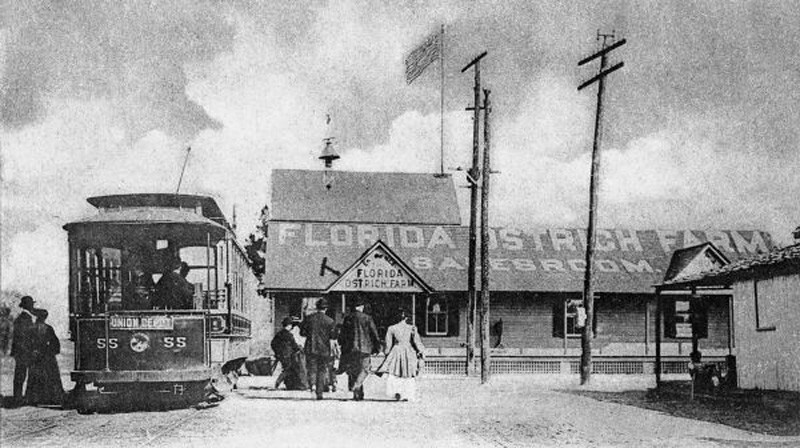 Panama Park’s days as a railroad suburb outside of Jacksonville came to an end when the community and neighboring Northshore were annexed in 1925. Nevertheless, the area was still considered to be a remote location from the hustle and bustle of Jacksonville, making it a popular destination for rum runners during prohibition. 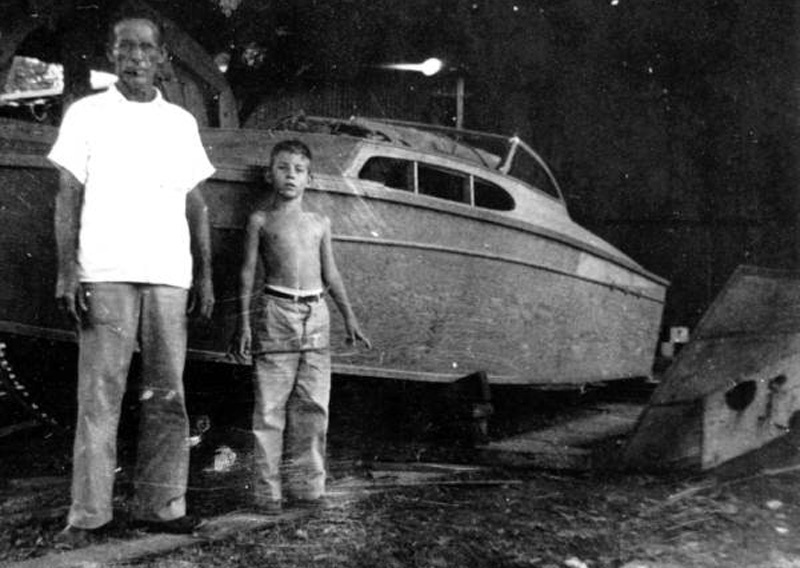 Despite Clark’s focus residential development, Panama Park’s position as a blue collar fishing and industrial community remained throughout the 20th century. In 1934, John R. Shaw relocated Florida’s first crab meat processing plant along the Trout River in Panama Park. Today, Shaw’s Southern Belle Frozen Foods, Inc. employs 120 people, making products like deviled crab and crab cakes for a client list that includes Red Lobster, Captain D’s, Golden Corral Buffet & Grill, Long John Silvers and Cracker Barrel. While Cummer’s lumber mill eventually ceased operations, the United States Gypsum Company (USG) opened its Jacksonville wallboard plant on the Cummer site in 1939. Utilizing Cummer’s old J&SW; railroad for its raw materials, USG’s plant now covers 42.8-acres of land, producing more than 23 million sheets of wallboard annually. With miles of frontage along the Trout and St. Johns River, it’s no surprise that marinas, seafood markets, petroleum terminals and a commercial diving academy continue to operate along the neighborhood’s waterfront. 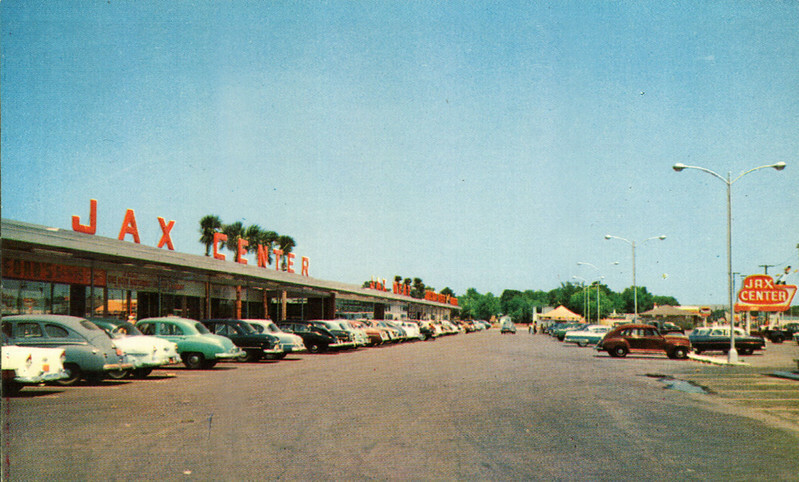 Prior to the completion of Interstate 95, Panama Park’s location as the city’s northernmost neighborhood led to significant commercial development along North Main Street. Despite the growth of the city elsewhere, Panama Park’s Main Street remains populated by several long time local establishments such as Trout River Seafood and Joseph’s Pizza. In fact, established in 1956, Joseph’s is the city’s oldest pizzeria and a local favorite. 137 years have passed since the original plat of Panama Park was recorded. During this time, Jacksonville has grown from a small remote winter resort to a large sunbelt metropolis. Yet Panama Park is pretty remarkable in that its economy and setting has pretty much remained the same.